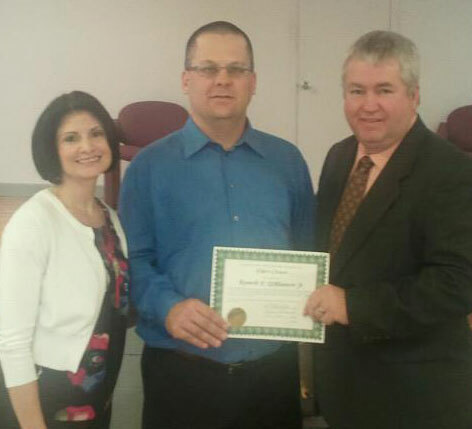 Ken Williamson was ordained on Sunday, September 25, in Franklintown, Pa. The ordination was part of a church picnic at Franlintown UB church. Because of rain, they had to retreat from the park to a fire hall. Bishop Phil Whipple spoke at the service that day, and also conducted the ordination service with the assistance of Franklintown’s pastor, Charles Milliken. Ken Williamson is a battalion chaplain in the US Army. He holds undergraduate degrees in Electronics Engineering (ITT Technical Institute, 2001) and Bible (Lancaster Bible College, 2005), and an MA in Religion from Liberty University (2008). He and Kristen were married in 1993 and have two children. Shelly Francka has joined Huntington University’s EXCEL Adult Degree Programs as its new director. She replaces Rick Upchurch, who left this summer to take a position with a college in South Dakota. Francka comes to the university from Southwest Baptist University in Bolivar, Mo., where she was the director of the MBA program. She holds a Master in Business Administration degree from Southwest Baptist University, a Bachelor of Science degree in business administration, and an Associate in Science degree in practical nursing. She is currently working on her doctorate in business administration. As the new director, Francka hopes to continue to support growth in the current EXCEL programs, create a greater awareness of EXCEL in the local communities, and develop new programs by identifying employer and community needs. “I would love in the next two years for the enrollment to double,” she said. Global Ministries is sponsoring a number of short-term mission trips in 2012. Participants need to fill out an application form, which you can obtain by contacting the Global Ministries office. These trips require a valid passport before starting the application process. Please do not submit an application form if you do not have a valid passport. Description: Work with Galen and Maritta Fiedler. Description: Work with missionaries Ron and Brenda Anderson in a Family English Camp. Description: Work with missionaries Arek and Donna Delik. Description: Work with Huntington University’s TESOL Program at an English Day Camp. If interested: Contact the Institute for TESOL Studies at Huntington University. Application deadline: April 10, 2012. Among the 9400+ people who participated in last weekend’s Fort4Fitness event in Fort Wayne, Ind., were 24 persons from Anchor Community Church. In a congregation of 120 people, that’s a pretty good representation. Most of the Anchor people participated in the 4-mile walk, held Saturday morning, September 24. Pastor Tim Hallman and his wife, Tara, both ran the 13.1 mile half-marathon–Tara’s third time, Tim’s second time. The kids, along with assorted parents, grandparents, and aunts, participated in the Kids’ Marathon, which stretches over a period of 12 weeks during the summer. During that time, children walked or ran in small increments (a mile or two), and kept a log book. Then they walked the last 1.2 miles, along with adults, to cross the finish line in Parkview Stadium. 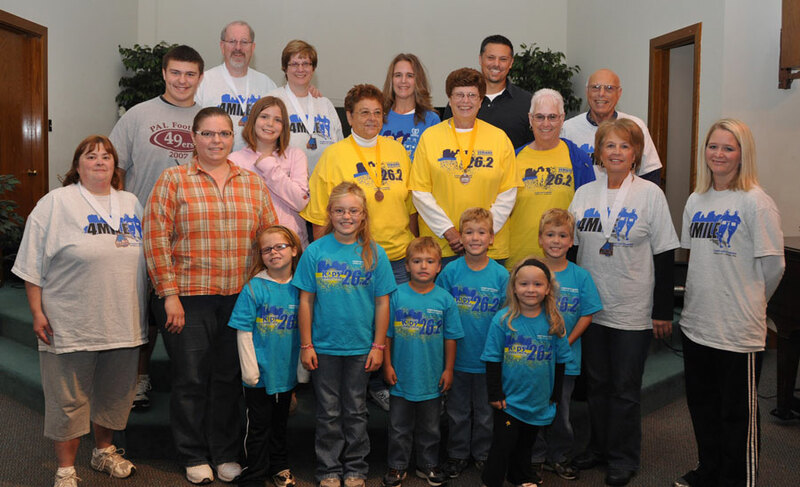 Most of the Anchor participants wore their t-shirts and medals to church on Sunday, September 25. Our service on September 11 at Ebenezer UB opened with the lighting of a rememberance candle of our fallen heroes by a young man who is working towards his Eagle Scout. He was followed by two gentlemen who served in World War 2 and Vietnam as they presented the placement of the U.S. and Christian flags. We then held a patriotic medley celebration in song to celebrate the freedom that we have in the United States by those who shed their blood on the battle fields here at home and across the waters. We also had a video and special presentation to celebrate the blessings of our grandparents as it was Grandparents Day as well. Our service of honor was then closed by a moving video of that day’s horrific events and a collage of all of those that perished on that day. I delivered a message of hope and comfort following the video, speaking on the comfort and strength that God provided on that day and the day’s that followed, and which he continues to provide to each person today. We then closed the service by singing and joining together as one to the hymn of praise “God Bless America” as it took place that day when our elected officials united together on the steps of the Capital. The theme was not only to honor those who lost their lives on 9/11, but to focus on the sustaining power of God in our daily lives. Huntington University’s physical education students are offering a homeschool P.E. program for children ages 3 through 5th grade this fall. Children will be split into one of four developmental levels: preschool (ages 3 and 4), grades K-1, grades 2-3 and grades 4-5. Classes are held in the Merillat physical education complex from 2:15 to 3 p.m. every Thursday from September 29 to December 8. Our two churches in Thailand are located just south of the Chinese border. Many persons living in these mountain villages speak either Akha or Mandarin Chinese, but not Thai. While learning to speak English may be popular in some places, most people in northern Thailand want to learn Chinese. Rev. 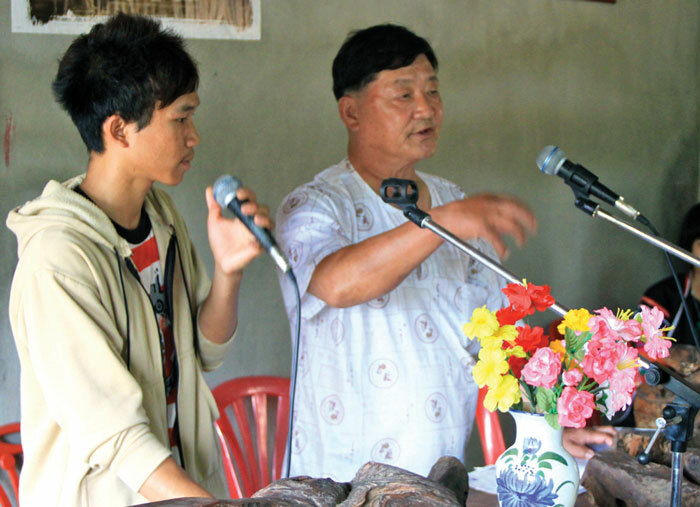 H.M. Lee recently started a United Brethren Chinese-language church plant. This third church will strengthen the efforts of our two existing Akha-language churches planted in the past 15 years. Global Ministries has hired Frank Y as a new associate director (for security reasons, we won’t use his full name on our websites and will be vague about some of his work). He becomes the fourth member of the staff, joining Jeff Bleijerveld (director), Donna Hollopeter (associate director), and Peggy Sell (administrative assistant). Frank and his wife, Ginny, are members of Emmanuel UB church in Fort Wayne, Ind. Frank was born in China. He came to the States at age 7, when his father came here to earn his Master’s and PhD in Engineering at the University of Florida. Frank spent his childhood in several east coast states, but mostly in New Jersey, where his parents now live. A relationship with a Taiwanese Christian woman–which started when she found his father’s lost wallet and returned it–eventually led to Frank’s family becoming Christians. The story also involves a serious heart condition Frank had, a hole in his heart. His mother began reaching out to God by praying over Frank…and he was completely healed. As he says now, “My heart is God’s.” Frank himself made the decision to follow Christ in junior high. Frank earned an engineering degree from Cornell University, and then came to Fort Wayne in 2002 to work with Lincoln Financial Group. He worked in various departments, including strategy, marketing, and operations. He began worshiping at the Love Church in downtown Fort Wayne, but also attended a Bible study at The Chapel in the western suburbs. He and Ginny, who grew up in Fort Wayne, met at that Bible study, and were married in 2004. 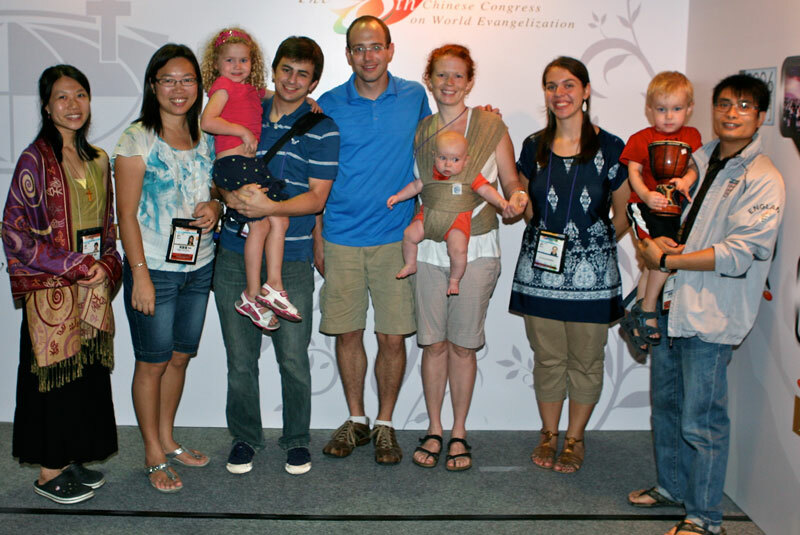 In 2007, Frank and Ginny relocated to Asia, where Frank taught English with a like-minded organization for four years, and also worked three years in member care. 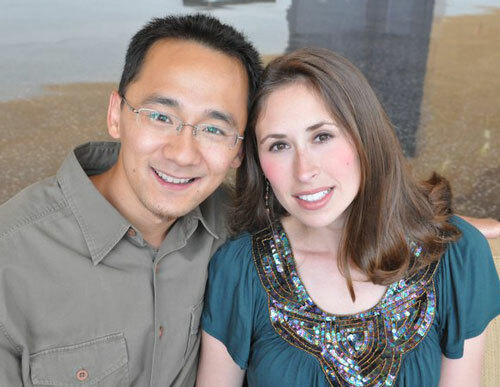 Frank and Ginny recently completed graduate degrees at Wheaton College in Illinois. Frank’s degree was in Intercultural Studies and Ginny’s in TESOL (Teaching English to Speakers of Other Languages). While attending Emmanuel during summer furloughs, Frank got acquainted with Jeff Bleijerveld, director of Global Ministries. That relationship eventually led to Jeff approaching Frank about joining the Global Ministries staff. Frank started September 15. Frank and Ginny live in Fort Wayne, and are expecting their first child–a boy–in October. Supervising the overseas Global Ministries staff. Dealing with new applicants and candidates. Donna Hollopeter, in her associate role, will focus on short-term volunteers, internships, and staff care. Jeff Bleijerveld will devote his time to mobilizing local churches, promotion, and coming alongside our international partners in their church planting and mission endeavors. Global Ministries is working in partnership with IN Network’s work in Turkey. As one of the initial steps in building this relationship, we have been invited to participate in an exclusive United Brethren tour of the Seven Churches of Revelation and other Biblical Sights. Dr. Mark Fairchild (right), who chairs the Bible & Religion Department at Huntington University, will be our guide. He frequently conducts biblical study tours to Israel, Greece, and Turkey. Also participating will be Rody Rodeheaver of IN Network, the organization with which we are partnering in Turkey. 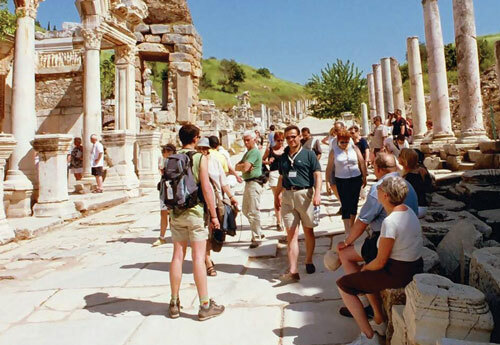 Turkey is rapidly becoming the destination of choice for those wanting to experience the Biblical sites of the early Christian church. In many ways, the Christian church began in Turkey. The first non-Jewish Christian congregation was established at Antioch (Turkey), and it was there that believers were first called “Christians.” The apostle Paul was born in Turkey and 80% of his missionary journeys occurred in Turkey. A large portion of the New Testament was written to congregations in Turkey. The total cost is $3,595 per person. That includes air fare, lodging in 4-5 star hotels, breakfast and dinner daily, an air-conditioned motorcoach , entrance fees, taxes–pretty much everything you’ll need. Early Bird pricing–a discount of $200–ends November 30. So check out the brochures and submit your application to ensure your place on this exciting trip. UB representatives at the conference. 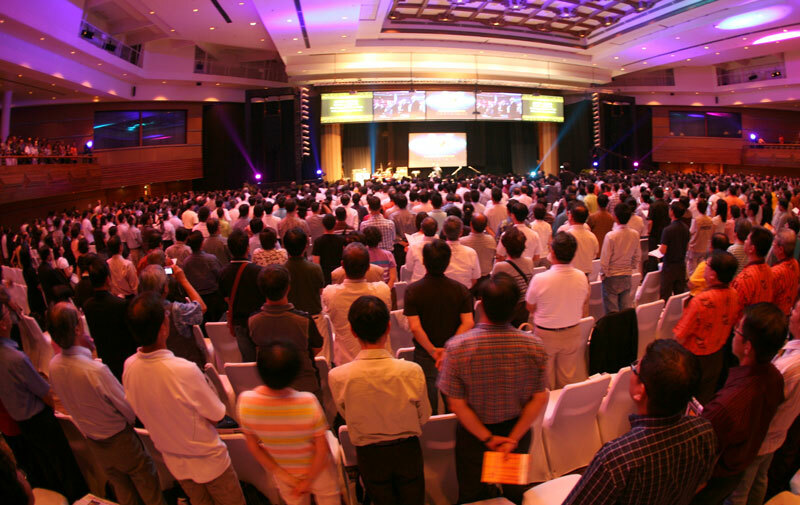 The Chinese Congress on World Evangelism met for their 8th Gathering September 12-16 in Bali, Indonesia. United Brethren delegates from our Macau churches along, with a number of Global Ministries staff, joined another 2200 participants from throughout Asia. Chris Chia, a keynote speaker for the conference, was converted from a Buddhist-Taoist background at a Billy Graham Crusade in Australia. Today he pastors the Adam Road Presbyterian Centre (ARPC) in Singapore, which has grown from 50 to 1500 members over the past 20 years. Chris Wright, author and international director of Langham Partnership International, a group founded by Rev. John Stott, also served as speaker. He is the author of both “The Mission of God” and more recently, “The Mission of God’s People”. The vision of the CCOWE is to raise up Chinese churches in one accord, proclaiming the gospel until Christ’s return. Their first conference was held in Hong Kong in 1976. The next conference will be held in Taiwan.